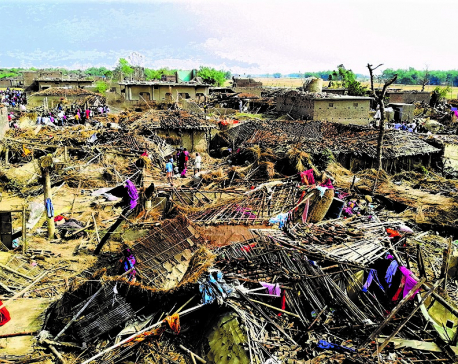 BARA, April 3: After the raging storm wrecked her home on Sunday, Nur Jaha Khatun, 35, of Feta Rural Municipality-6, Purainiya remained awake for two days. She now has no house to sleep in and no food . "We lost our home and no one has provided us tarpaulins for temporary shelter," she laments. All the older members of her family have been admitted to hospital since two days. "As of now, we are relying on noodles and biscuits for survival," she said, adding, "Some generous people also offered us beaten rice and raw sugar but we have no water." Her three-month-old often cries for milk but she has not been able to breastfeed properly. Those rendered homeless by the storm are scouring for food and clamoring for shelter. 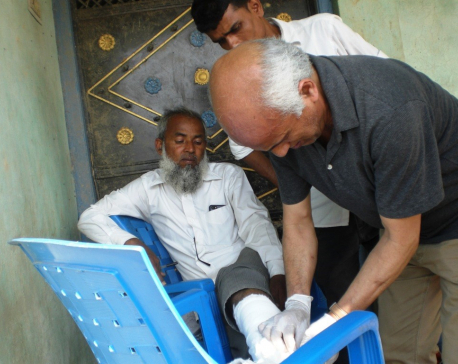 "Even if someone offers us foodgrain, there is no stove or utensils or water for cooking," said Mohammad Aesh, a local. 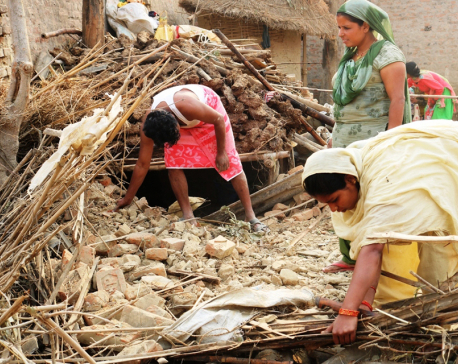 Taslima Khatun, 75, of the same village lost her daughter and daughter-in-law in the disaster. Both were crushed to death by their collapsing home. "The pain of watching loved ones die cannot be put into words," she said. The powerful storm turned everything into debris within minutes. The victims have been assured relief from various government authorities, but no immediate relief has materialized. 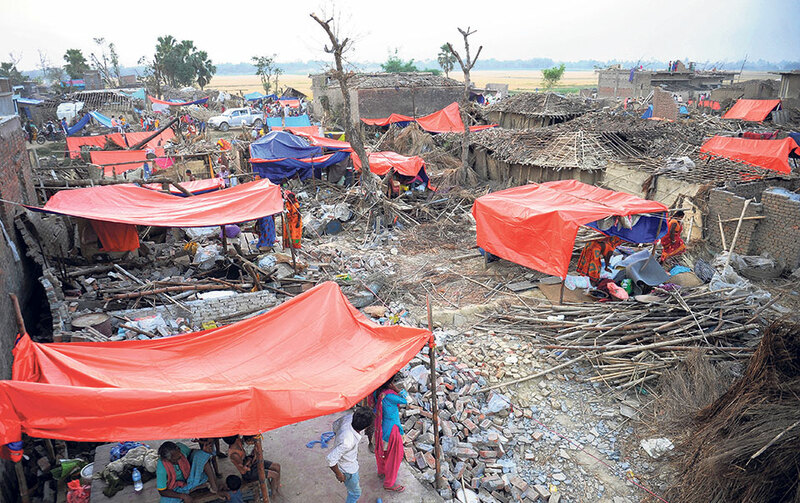 Amiri Lal Prasad, chairperson of Feta Rural Municipality, informed Republica that they have set up tents in various places where meals can be cooked for the victims . A total of 100 houses in Purainiya were reduced to rubble while some 500 others were partially damaged . Kismati Devi of Bhulahi recalls how her whole family was having their meal together just before disaster struck. Suddenly, heavy wind swept into their house and killed her sister-in-law and daughter-in-law in front of her very eyes. Kismati's husband Ram Surat Das laments that they have not even been able to perform the last rites for their dead, as they have nothing left . As the storm also damaged the crops, he is worried how he will feed his family in the days to come.The children and elderly are finding it especially hard to sleep under the open sky and without having eaten properly. So far, 28 people have been confirmed dead while 604 were injured in Bara . According to police, preliminary reports as of Tuesday are that more than 1,500 families lost their shelter.